Many sales and marketing professionals have some sense of what a CRM is. A lot of the time if a company has not yet embraced CRM software, it is only because its relevance has yet to be perceived. CRM software is becoming more common in the sales and marketing world, and can often times make a huge difference. The biggest problem that we notice today is that most of the time people are not really using their CRM to its fullest potential, leaving a lot of room for misuse and misunderstanding. Implementing a process can be frustrating and confusing, but a CRM reaps many benefits if used properly. Let’s explore some of the best practices for implementing a successful CRM platform. 1. Select the right software for your business. Are you looking for a traditional CRM or a more integrated platform that ties sales and marketing efforts together? Every company/ industry uses a CRM differently, so it is necessary that the CRM software you choose be the right one for your business’ goals. 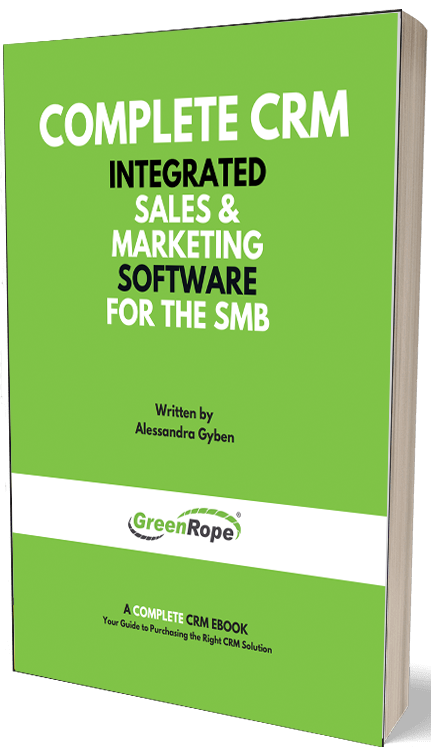 A great example is an integrated business operating system like GreenRope, an all-encompassing CRM, including social media, event management, project management, website building, and tracking. All of these features and capabilities are housed under one roof, all syncing with your CRM. A platform like this ensures the fluid sharing of information between all departments in a company. 2. Set realistic goals and take it one step at a time. Expecting everyone to jump on board with the CRM is unrealistic. Successful implementation takes planning and time. An organization should consider phasing the software in, rather than simply giving access and letting the users run with it. Each department and individual using the CRM should receive the same training and information to ensure successful implementation. Using a CRM to its fullest potential can seem overwhelming when all the bells and whistles are presented at once, but when presented in stages it provides for a more fruitful CRM experience, so you can eventually sit back and watch your company prosper. 3. Make it company culture. Every member of the team must be on board with the CRM, especially senior management. Senior executives must lead by example and share the benefits of using a CRM with their employees. When people are seeing the positive results of their labor, they are more likely to continue on this path to success. In order to fully adopt the CRM culture, each company member needs to know the strategy is working. 4. Clean up your data. Organized data is key for successful implementation. Make sure that duplicate contacts do not exist, and that the customers information is consistent throughout. Accurate and consistent data needs to be available across all departments to really reap the benefits of a properly executed CRM strategy. In order to provide the utmost customer service and execute effective marketing strategies, it is crucial that everyone have easy access to accurate information. CRM implementation is not always easy, but if planned properly, can sail your company right into the path of success. The difference between successful CRM implementation and ineffective CRM is the time and commitment the company puts forth to make sure it is easily adopted by everyone on board. GreenRope’s simple dashboard and personal customer service makes establishing a CRM strategy a breeze. For more information about CRM implementation or to speak with one of our customer service reps, please join one of our monthly webinars.